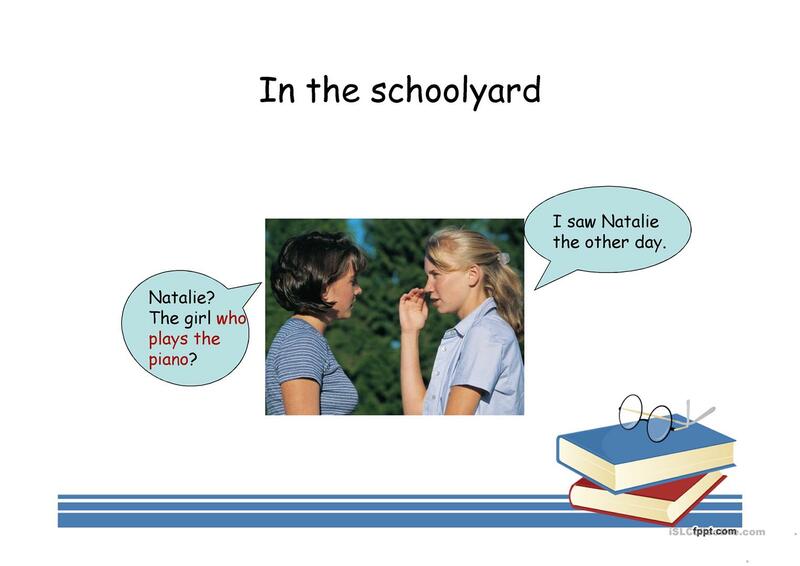 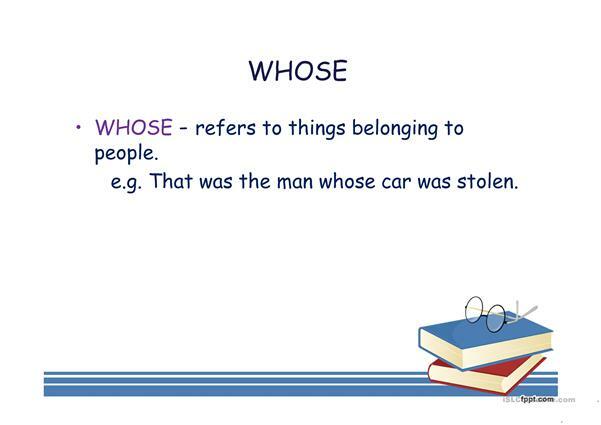 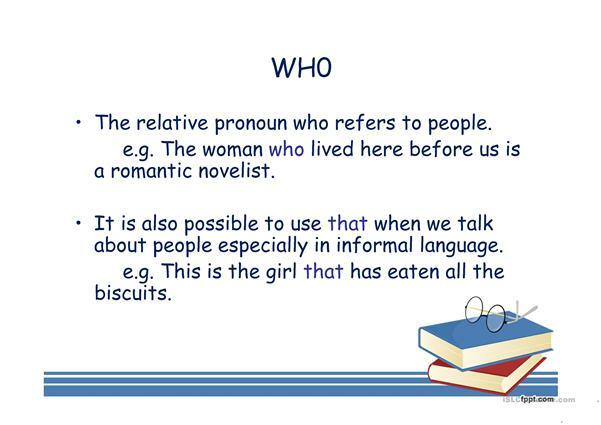 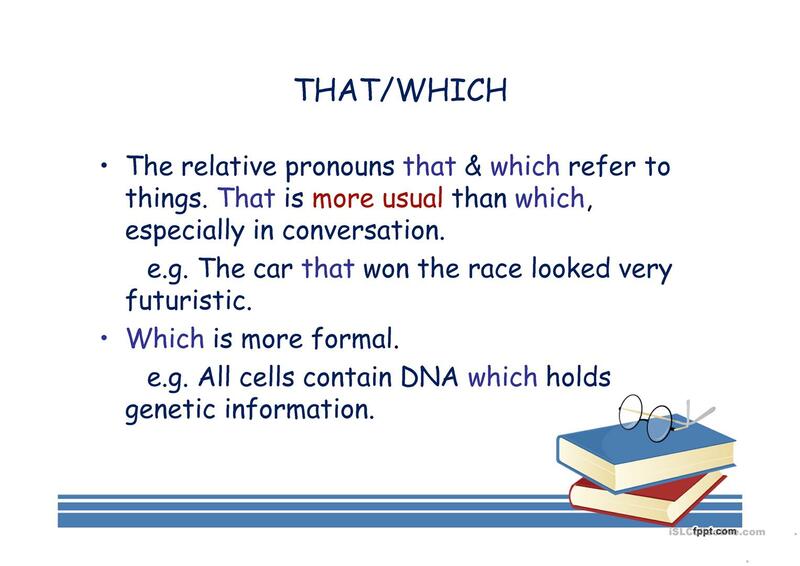 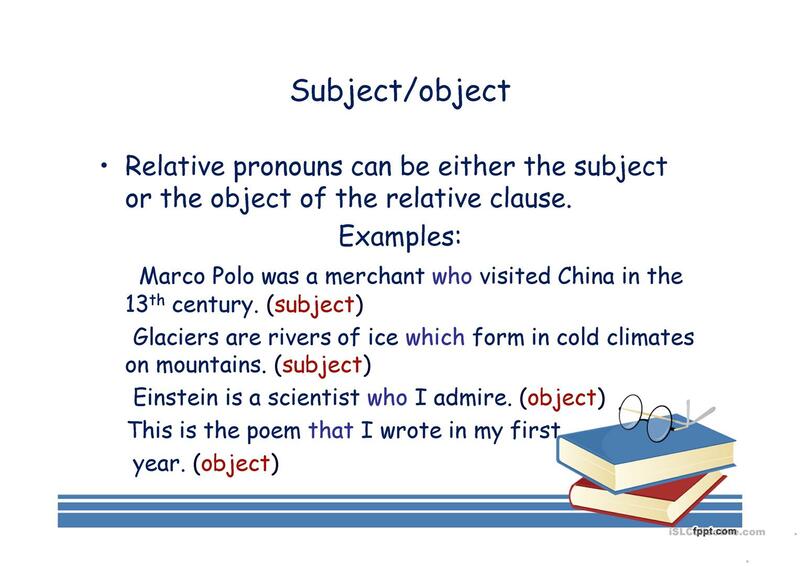 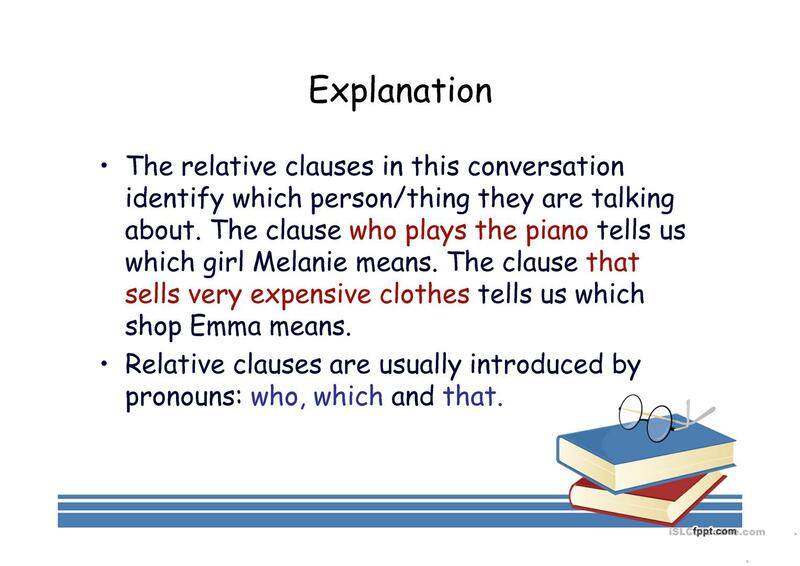 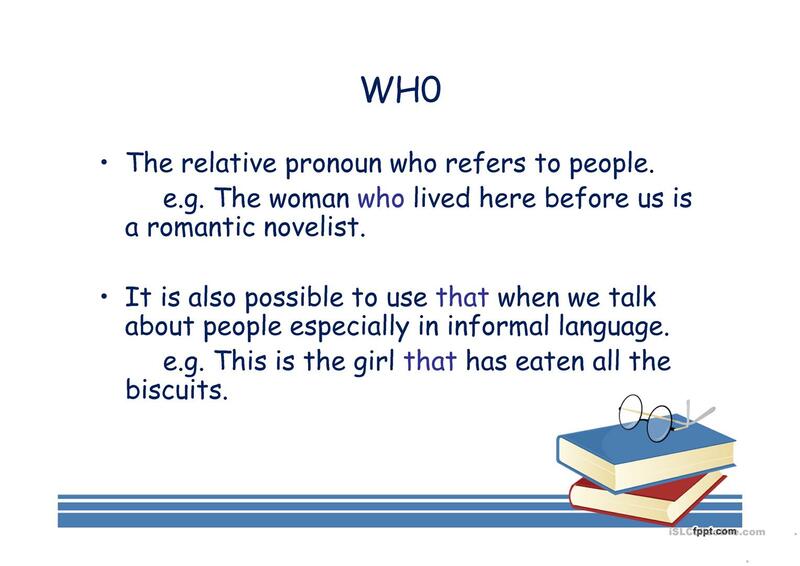 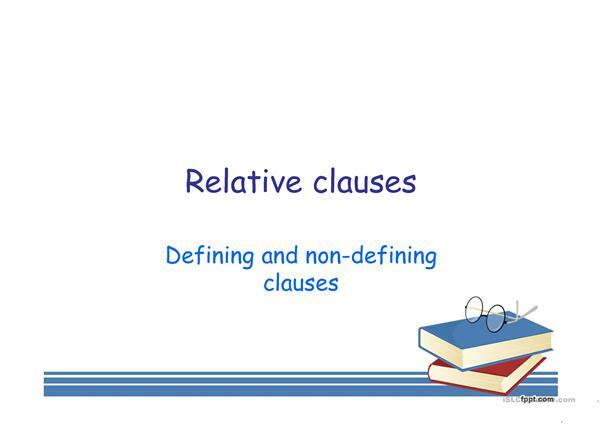 This presentation provides necessary explanations regarding defining and non-defining relative clauses, relative pronouns and adverbs used, omission of relative pronouns etc. I hope your students will find the explanations easy to comprehend. The above downloadable printable is intended for high school students and adults at Intermediate (B1) level. 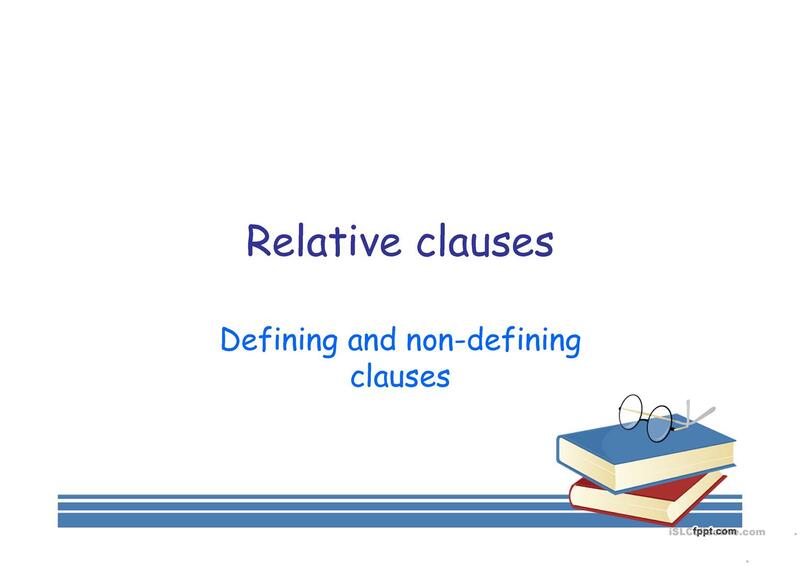 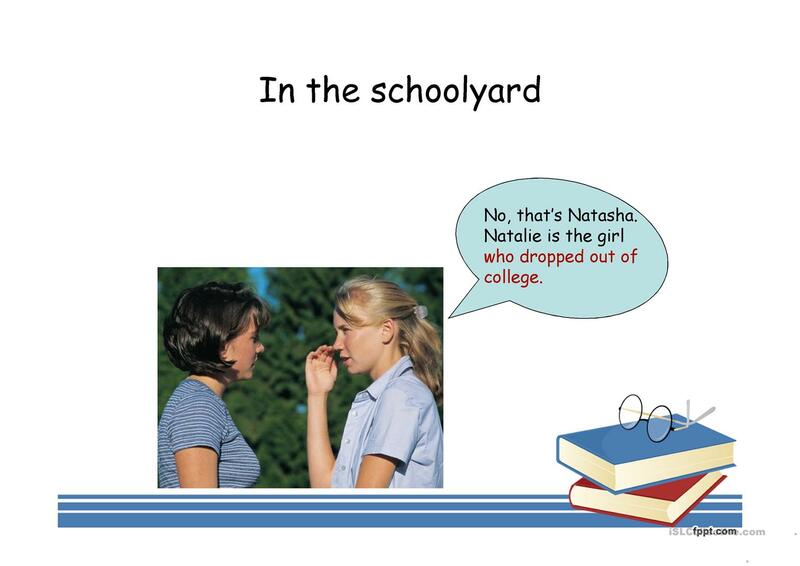 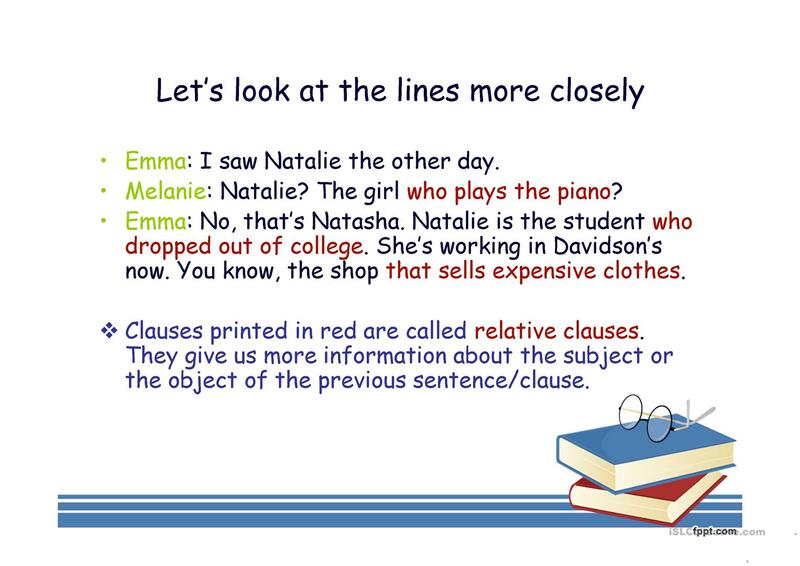 It is a useful material for consolidating Relative clauses in English.